Description 8-Speed Automatic with Overdrive, 4WD, Jet Black w/Perforated Leather Appointed Seat Trim, 10-Way Power Driver's Seat Adjuster, 20 x 9 Polished Aluminum Wheels, 4 Round Black Tubular Assist Steps (LPO), 6 Rectangular Chromed Tubular Assist Steps, All Terrain SLT Premium Package, All-Terrain Package, All-Weather Floor Liner (LPO), Black Mirror Caps, Body Color Bodyside Moldings, Body Color Door Handles, Body Color Lower Front Bumper, Body Color Rear Bumper w/Cornersteps, Floor Mounted Console, Front Full Feature Power Reclining Bucket Seats, Heated Driver & Front Passenger Seats, High-Performance LED Headlamps, Hill Descent Control, Leather Wrapped Heated Steering Wheel, Navigation System, Off-Road Suspension Package, Power Sliding Rear Window w/Defogger, SLT Preferred Package, SLT Premium Package, Spray-On Pickup Box Bed Liner w/GMC Logo, Ultrasonic Front & Rear Park Assist, Unique Body Color Grille Surround w/Chrome Accents, Wireless Charging. Clean CARFAX. Odometer is 5857 miles below market average! 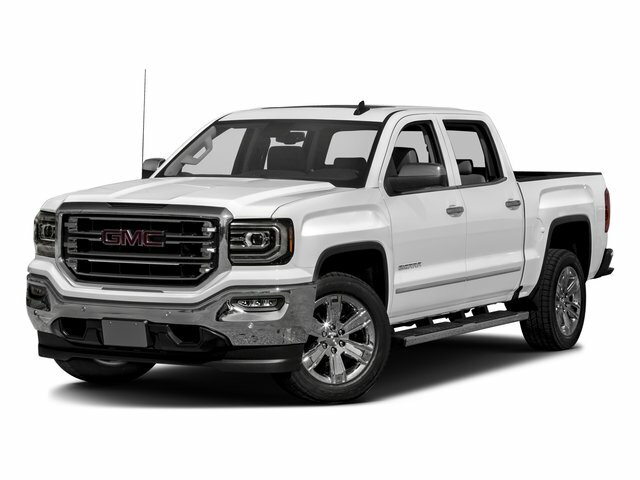 Onyx Black 2017 GMC Sierra 1500 SLT 4WD 8-Speed Automatic with Overdrive EcoTec3 5.3L V8 CARFAX One-Owner.